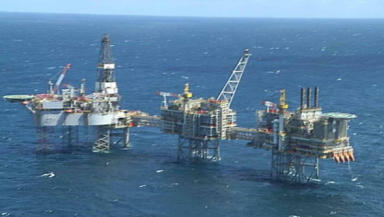 A new report from Oil and Gas UK's Business Outlook said companies will need to spend billions. Oil: Around 200bn will need to be spent. Around £200bn will need to be spent to add a generation of productive life to the UK Continental Shelf (UKCS), according to a new report. Oil and Gas UK's (OGUK) Business Outlook 2019 said that exploration and production companies would need to spend that amount to fulfil the goal of achieving a total output of at least one million barrels of oil equivalent per day (boepd) in 2035. OGUK chief executive Deirdre Michie said: "Our report finds an industry that's getting better at what it does, getting smarter in how it does it and is well positioned to deliver attractive returns on investment within this environment, maintaining our global competitiveness. This is the new reality and we need to embrace it. "However, challenges remain across parts of the supply chain, with revenues and margins still under pressure and cash flow stretched. If capabilities and resources are to stay anchored here in the UK, there must be a competitive proposition for supply chain companies to invest in too. "With focus on adding a generation of productive life to the basin, our report reveals around £200bn will need to be spent to find, develop and operate the reserves of the future." The report found that production from the UKCS continues to provide around 60% of the UK's oil and gas demand, reducing reliance on imports. "This is an attractive opportunity that can stimulate activity and revenue for both the supply chain and E&P companies and contribute positively to the UK economy for years to come." Ms Michie said: "This is a UK industry which is critical for security of energy supply, at the heart of the move to a lower carbon economy, supports hundreds of thousands of jobs and contributes billions to the economy. "With the new reality clear and clarity around the future potential, there is all to play for." Of the £200bn around £100-£110bn will need to be spent over the next 16 years to support production from the basin. The report said: "This is an attractive opportunity that can stimulate activity and revenue for both the supply chain and E&P companies and contribute positively to the UK economy for years to come." The report also said that companies are looking to maintain unit operating costs at current levels, with operating expenditure running at around £7-7.5bn through 2019. Scotland's Energy Minister, Paul Wheelhouse, said: "It is clear that more needs to be done to realise the industry's Vision 2035, including diversification into new areas such as transitional technologies and areas such as hydrogen production, and providing sustainable opportunities for the supply chain which, while seeing improvements, is still continuing to face challenges in some areas. "That's why we continue to press for more action by UK Ministers to stimulate further investment in the sector."